This juvenile newt was discovered when weeding the flower bed. 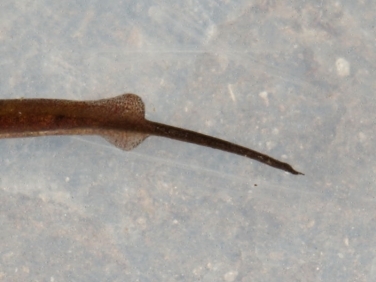 But which of the three British newts is it? Having excluded the Great Crested Newt because of its rarity status in Cornwall and darker colouration, it was down to trying to determine whether it was either an immature Smooth Newt or Palmate Newt; a very difficult task even for a newt expert. A trawl with a net of the tiny overgrown pond in the corner of the garden immediately revealed the likely species. Six Palmate Newts, four males and two extremely fat females were caught in as many sweeps through the mud. 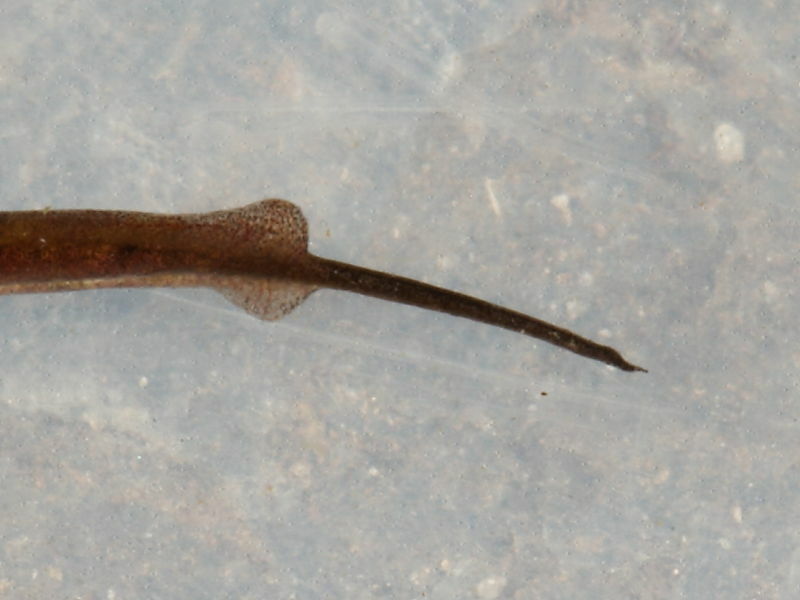 The males were easy to identify from Smooth Newts by their webbed rear feet, shallow crest on their back and tail and filament extention to their tails. 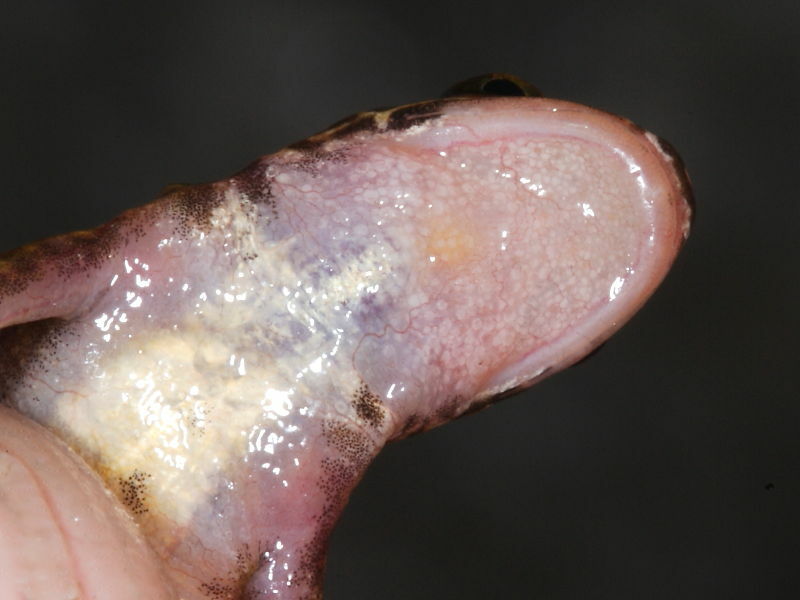 The females were trickier but on close inspection showed the throat to be clear of black spots in comparison to the spotted throat of the Smooth Newt. 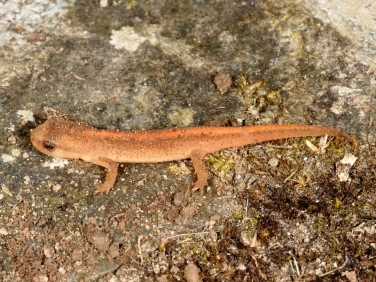 So, although not conclusive, it seems likely that the tiny amphibian found in the garden was a juvenile Palmate Newt. Insight into Palmate Newt (Lissotriton helveticus): one of only three species of newt found in the UK and the smallest with adults growing to about 9 cms in length. 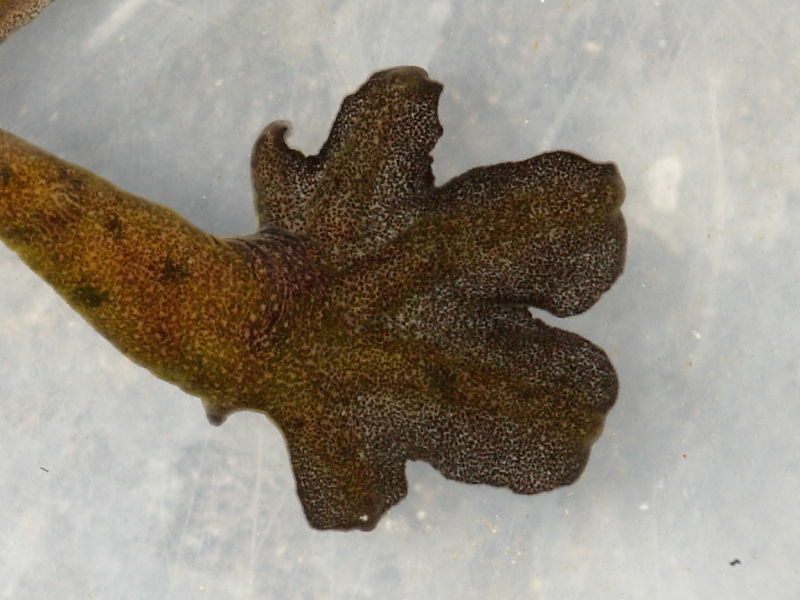 It is the smallest amphibian found in Britain. It has a widespread distribution but numbers have declined in recent years due to loss of habitat and polluting of ponds. They prefer ditches and shallow ponds including those found in gardens and on heathland in which they breed having hibernated during the winter on land, buried amongst decaying vegetation and soil.